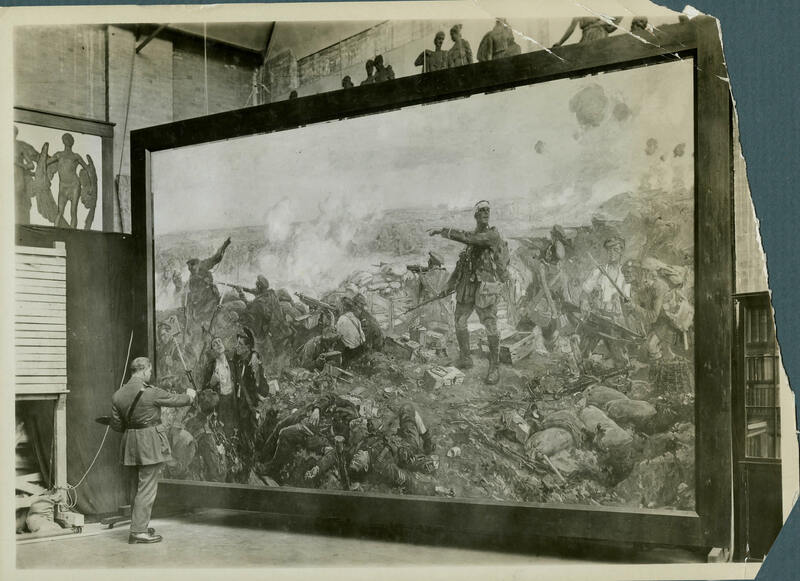 A posed photo of official artist Richard Jack at work on his iconic painting, The Second Battle of Ypres, the first work of art commissioned by Lord Beaverbrook. The official war art program employed close to 120 artists, most of them British or Canadian, who eventually created nearly 1,000 works. This work is on permanent display at the Canadian War Museum.